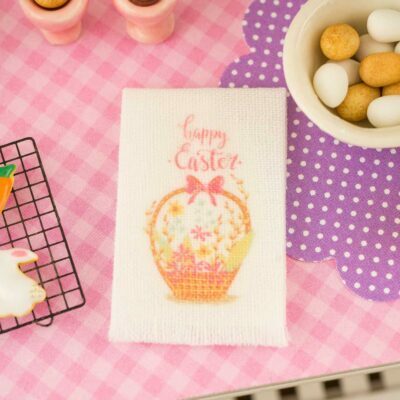 Dollhouse Miniature Cotton Tails and Bunny Trails Tea Towel - 1:12 Dollhouse Miniature - The Petite Provisions Co.
Decorate your mini kitchen and celebrate Easter with this darling little tea towel! 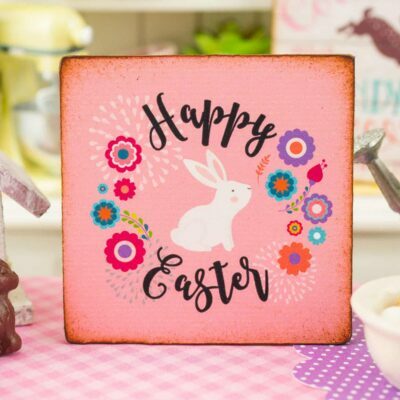 This is a white tea towel featuring a colorful design with bunny tracks and a curious bunny silhouette. 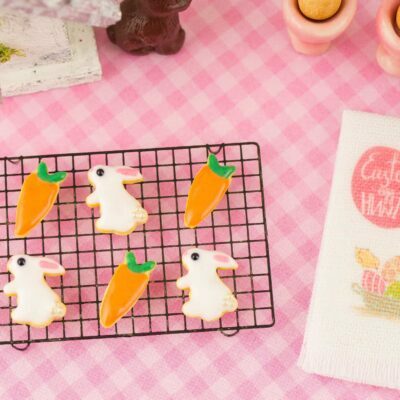 Whether you have a dollhouse or just love all things tiny, this wee kitchen decoration is too cute to resist! 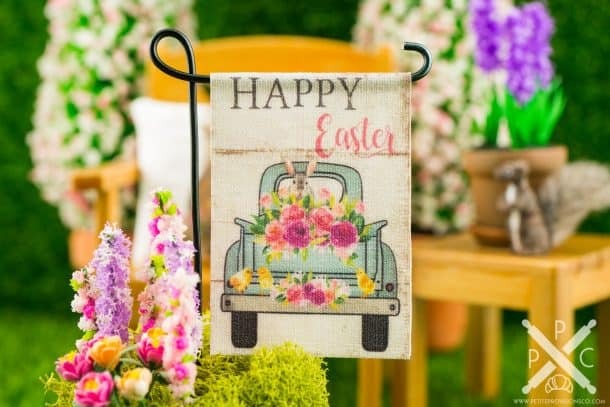 A white fabric tea towel neatly pressed and folded (so you can lay it out exactly as pictured or hang it over a towel rail, etc.) 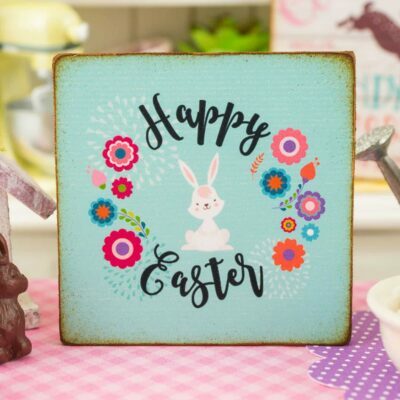 with fringed ends. 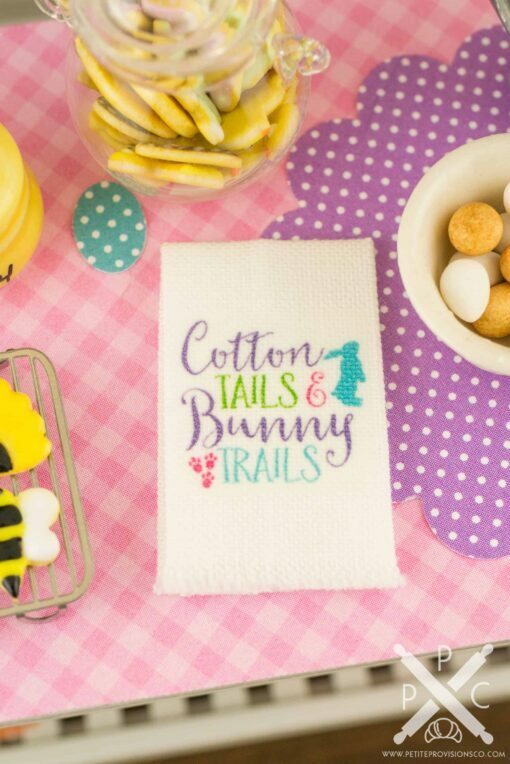 The design reads “Cotton Tails and Bunny Trails” and includes a curious bunny silhouette and bunny footprints.